Definition at line 24 of file CLRectangle.h. Definition at line 25 of file CLRectangle.cpp. Definition at line 36 of file CLRectangle.cpp. Constructor that takes x, y and z coordinate values, the width and the height. Constructor that takes an id, the x, y and z coordinate values, the width and the height. Definition at line 55 of file CLRectangle.cpp. Constructor that takes x and y coordinate values, the width and the height. Constructor that takes an id, x and y coordinate values, the width and the height. Definition at line 74 of file CLRectangle.cpp. Definition at line 110 of file CLRectangle.cpp. Definition at line 187 of file CLRectangle.cpp. Referenced by CLLayoutRenderer::draw_rectangle(), fillItemFromRectangle(), getPath(), and CCopasiXML::saveRectangleElement(). Definition at line 243 of file CLRectangle.cpp. Definition at line 323 of file CLRectangle.cpp. Returns the corner radius along th x axis. Definition at line 195 of file CLRectangle.cpp. Definition at line 251 of file CLRectangle.cpp. Returns the corner radius along the y axis. Definition at line 203 of file CLRectangle.cpp. Definition at line 259 of file CLRectangle.cpp. Definition at line 179 of file CLRectangle.cpp. Definition at line 235 of file CLRectangle.cpp. Definition at line 155 of file CLRectangle.cpp. Definition at line 211 of file CLRectangle.cpp. Definition at line 163 of file CLRectangle.cpp. Definition at line 219 of file CLRectangle.cpp. Definition at line 171 of file CLRectangle.cpp. Referenced by CLLayoutRenderer::draw_rectangle(), and CCopasiXML::saveRectangleElement(). Definition at line 227 of file CLRectangle.cpp. Definition at line 127 of file CLRectangle.cpp. Sets the position, the width and the height. Definition at line 118 of file CLRectangle.cpp. Definition at line 275 of file CLRectangle.cpp. Definition at line 146 of file CLRectangle.cpp. Sets the x radius for the corners. Definition at line 283 of file CLRectangle.cpp. Sets the y radius for the corners. Definition at line 291 of file CLRectangle.cpp. Definition at line 137 of file CLRectangle.cpp. Definition at line 267 of file CLRectangle.cpp. Definition at line 299 of file CLRectangle.cpp. Definition at line 307 of file CLRectangle.cpp. Definition at line 315 of file CLRectangle.cpp. Definition at line 331 of file CLRectangle.cpp. 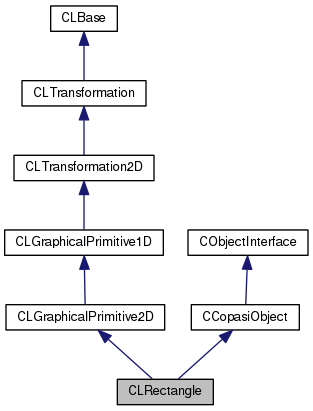 References CLGraphicalPrimitive2D::addSBMLAttributes(), mHeight, mRX, mRY, mWidth, mX, mY, mZ, and CLRelAbsVector::toSBML(). Definition at line 35 of file CLRectangle.h. Referenced by getHeight(), setHeight(), setSize(), and toSBML(). Definition at line 42 of file CLRectangle.h. Referenced by CLRectangle(), getKey(), and ~CLRectangle(). Definition at line 36 of file CLRectangle.h. Referenced by getRadiusX(), setRadii(), setRadiusX(), and toSBML(). Definition at line 37 of file CLRectangle.h. Referenced by getRadiusY(), setRadii(), setRadiusY(), and toSBML(). Definition at line 34 of file CLRectangle.h. Referenced by getWidth(), setSize(), setWidth(), and toSBML(). Definition at line 31 of file CLRectangle.h. Definition at line 32 of file CLRectangle.h. Definition at line 33 of file CLRectangle.h.